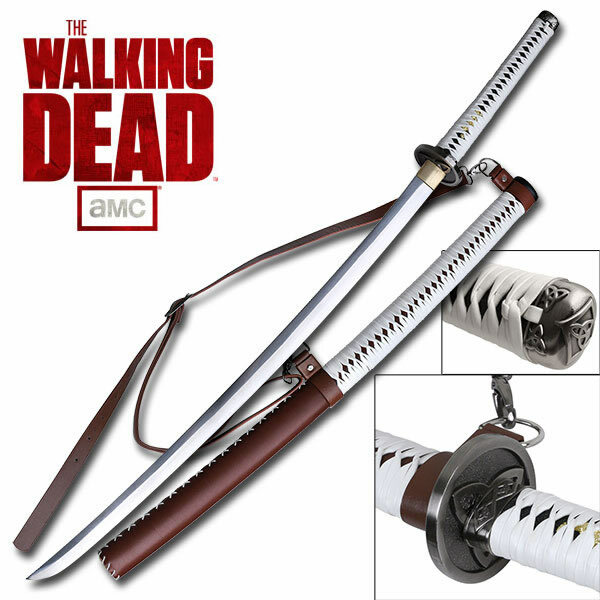 This katana has been replicated from the original prop design used by Michonne in the series. It is assembled with traditional Japanese sword making techniques and 1045 high carbon steel, genuine ray skin handle and leather shoulder strap. Hand Forged, certification included. 26.75" 1045 high carbon steel blade. 12.25" handle with Aluminum alloy collar.